These diminutive, tube-powered units shine as studio and practice companions. Hot on the heels of the HT-20R MkII, Blackstar has launched the HT-1 MkII and HT-5 MkII amps. Despite their small stature, these two amps are stacked with a variety of features, including a unique power amp design, footswitchable voices, as well as “studio-quality” reverb. 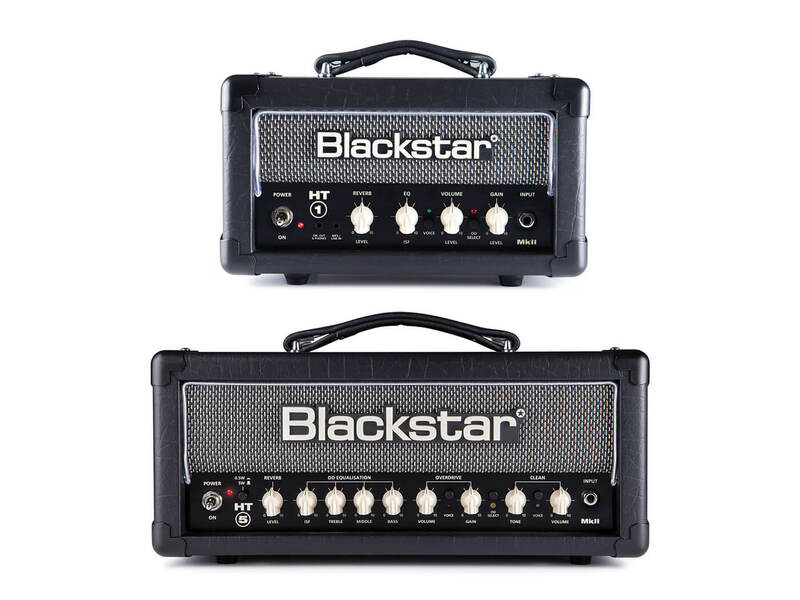 Blackstar’s new one-watt offering features a push-pull power amp design that manages to sound full even with the volume set at the lowest. Other new features include footswitchable voices for its clean and overdrive channels, a USB audio out for easy recording, and an impressive new reverb voiced for guitar. It also has Blackstar’s patented Infinite Shape Feature (ISF), which allows you to “infinitely” tinker with the EQ network to design your own sound. Apart from those features, the amp has an ECC83 preamp valve, ECC82 power amp valve, a single eight-inch speaker and a four- to 16-ohm speaker output. Like its smaller cousin, the HT-5R MkII features a push-pull power amp design that allows it to sound great even at lower volumes. Even when dialled down, the amp can generate the crunch of a 100-watt output stage. This amp also features the one-watter’s footswitchable voicings, USB audio out and reverb. It does, however, have a unique 4×12/1×12 voicing switch that allows you to pick from two cab sim types, and a power reduction switch that drops the output from five to 0.5 watts, without sacrificing tone. In terms of I/Os, the HT-5R MkII comes with a host of options, including an XLR DI output, an effects loop, eight- and 16-ohm speaker outputs, as well as a stereo MP3/Line in. Last but not least, the amp features a Blackstar-designed 12-inch speaker. Two cabs have also been released with these amps: the HT-112VOC MkII and HT-212VOC MkII. The former is a 50-watt 1×12 cab, while the latter is a 160-watt 2×12. Both cabs are fitted with Celestion Seventy 80s speakers, and feature a convenient pull-off panel – on the rear – that allows you to modify cab configurations.